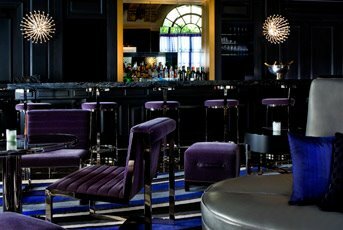 The deal: Charcuterie Mondays are back at the plush St. Regis bar, offering a charcuterie and cheese board with a glass of red or white wine for $19. The deets: Head to the bar on Mondays from 4 to 11 p.m., when for $19 per person you can score a plate of cheese and charcuterie and a glass of wine selected by Adour wine director Ramon Narvaez. Stay away from this place!! I went in with some friends and some of us ordered bourbons and scotch neat. When the bill came we noticed that they charged us a "no ice" fee for our neat drinks. They tried to explain the fee was because we got more alcohol by not having ice in the glass. But that means that people who have ice in their drinks are being short-changed. They manager made no sense and i will never go back.